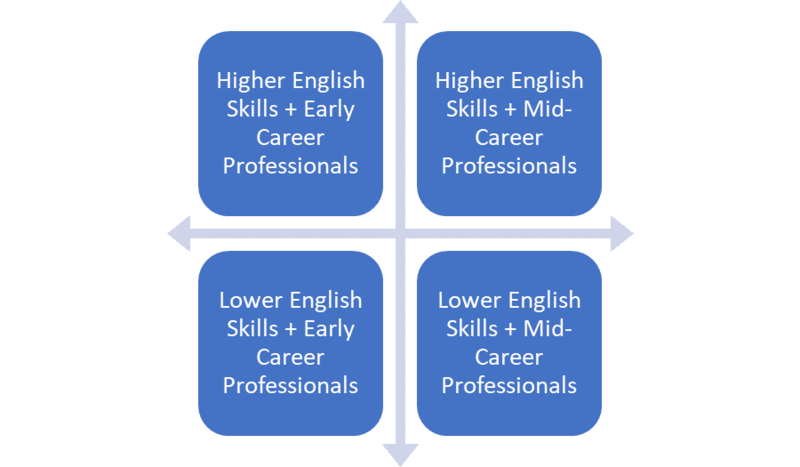 Where your application lands within this qualification matrix will determine if you will require additional ESL training prior to/at the start of the program. Since this program is delivered entirely in English, we require all applicants - as part of their formal application - to provide measurement of their ability to communicate in English. If you have formal, accredited results from either IELTS or CELPIP, please include those within your application. If not, we ask that you submit your scores from a CELPIP General Practice Test (available for free online). If you are accepted into the program, we will require a second placement test to be done on arrival for the program to verify the earlier results. A significant drop in score from the first test to the second test could negatively impact a student's ability to remain in the program. However, there are additional modules, beyond those described earlier, available to those who require additional ESL training to achieve a minimum required CELPIP score in order to get the most out of this program. Additional ESL testing will translate into an extra cost for the student. Final cost will be determined by the time required to reach minimum English requirements for the Certificate in Canadian Career Leadership.